Shamit Shrivastava, a post-doctoral researcher in the Department of Engineering Science, writes about a recent finding that has far-reaching consequences for the fundamental understanding of the physics of the brain. The research was conducted in partnership with Professor Matthias F Schneider at the Technical University in Dortmund, Germany. 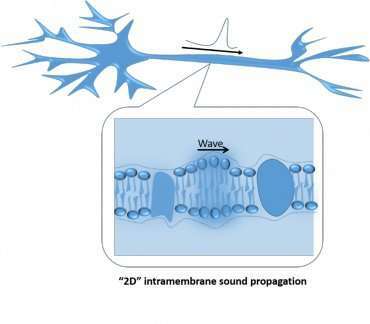 The findings, published in the Journal of Royal Society Interface, provide the experimental evidence that sound waves propagating in artificial lipid systems that mimic the neuron membrane can annihilate each other upon collision – a remarkable property of signals propagating in neurons that was considered to be inaccessible to an acoustic phenomenon. Nerve impulses are believed to propagate in a manner similar to the conduction of current in an electrical cable. However, for as long as the electrical theory has been around, scientists have also been measuring various other physical signals that are equally characteristic of a nerve impulse, such as changes in the mechanical and optical properties that propagate in sync with the electrical signal. Furthermore, several studies have reported reversible temperature changes that accompany a nerve impulse, which is inconsistent with the electrical understanding from a thermodynamic standpoint. To address these inconsistencies, researchers had previously proposed that nerve pulse propagation results from the same fundamental principles that cause the propagation of sound in a material and not the flow of ions or current. In this framework, the electromechanical nature of the nerve impulse, also known as an action potential, emerges naturally from the collective properties of the plasma membrane, in which the sound or the compression wave propagates. Thus the characteristics of the wave are derived from the principles of condensed matter physics and thermodynamics, unlike the emphasis on molecular biology in the electrical theory. The suggestion has been highly controversial because of the well-accepted and widely successful nature of the electrical basis of nerve pulse propagation in spite of its few inconsistencies. As a wave phenomenon, nerve pulse propagation has remarkable properties, such as a threshold for excitation, non-dispersive (solitary) and all-or-none propagation, and annihilation of two pulses that undergo head-on collision. 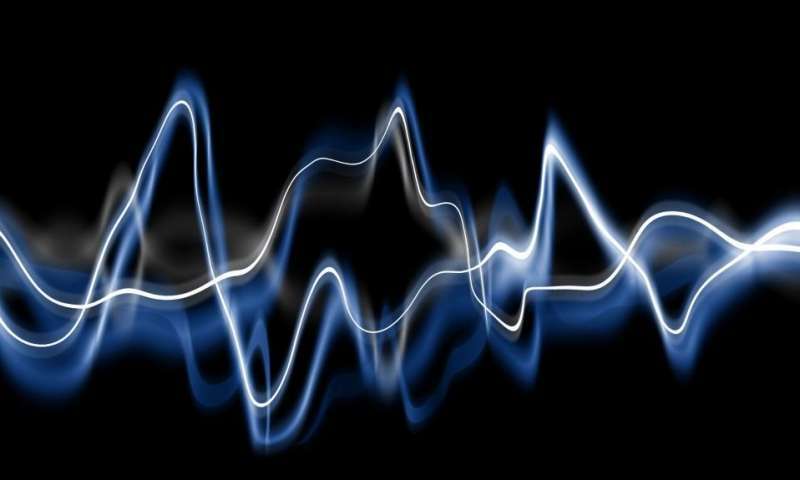 Moreover, sound waves are generally not associated with such characteristics, rather sound waves are known to spread out, disperse, dissipate, superimpose and interfere, which is counter-intuitive given the properties of nerve impulses. Therefore, experimental evidence for such a phenomenon was crucial, which was provided by us in 2014. We showed that sound or compression waves can indeed propagate within a molecular thin film of lipid molecules, mimicking action potentials in the plasma membrane. Remarkably, even in such a minimalistic system that is devoid of any proteins and macromolecules other than lipids, these waves behave strikingly similar to nerve impulses in a neuron, including the solitary electromechanical pulse propagation, the velocity of propagation and all-or-none excitation. These characteristics were shown to be a consequence of the conformational change or a phase transition in the lipid molecules that accompany the sound wave. Thus only when sufficient energy is provided to cause a phase change in the lipids (fluid to gel-like), the entire pulse propagates otherwise nothing propagates, the so-called all-or-none propagation. Now, in research published in the Journal of Royal Society Interface, we have shown that these waves can even annihilate each other upon collision, just like nerve impulses. Even from a purely acoustic physics perspective, this is a remarkable finding. The amplitudes of two sound pulses colliding head-on typically superimpose linearly before passing each other unaffected. Even nonlinear sound pulses, such as solitons, typically remain unaffected upon collision, which was a major criticism of the proposed acoustic theory of nerve pulse propagation. With the observation of annihilation of colliding sound pulses in the model lipid system, we have shown that qualitative characteristics of the entire phenomena of nerve pulse propagation can be derived solely from the principles of condensed matter physics and thermodynamics without the need for molecular models or fit parameters of the electrical theory. We have demonstrated a unique acoustic phenomenon that combines all the observable characteristics that define the propagation of nerve impulses. This strongly suggests that the underlying physics of propagation of sound and nerve impulses is indeed one and the same. I would think that this may be the basis for some animals immediate responses to sound, as if the whole body is already primed by the time the sound hits the ears and then the brain figures out whether to fight, flee or continue feeding, but the whole nervous system has already been primed, particularly if it is a loud noise or of certain frequencies of known dangers. Consider that when lightning hits close with sudden loud boom, or fireworks explosives, people do the automatic jump, as if their nerves are already prepared for whatever NEXT action the Brain tells em they need to do.